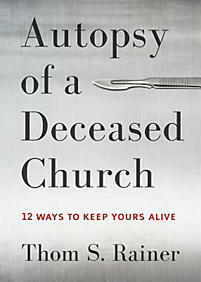 Thomas S. Rainer, Autopsy of a Deceased Church: 12 Ways to Keep Yours Alive (Nashville: B&H Publishing, 2014), 102 pages. 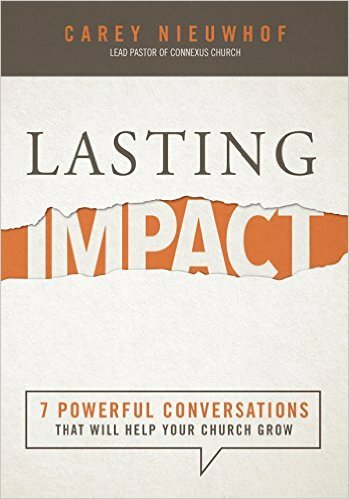 Carey Nieuwhof, Lasting Impact: 7 Powerful Conversations that Will Help Your Church Grow (Rethink Group, 2015) 169 pages. Both of these authors understand that churches today are struggling. Rainer is a former pastor and later served as the president of LifeWay Christian Resources. Nieuwhof is founding pastor of Connexus Church in Barrie, Ontario. Both are active bloggers seeking answers to the struggles churches face. In Autopsy of a Deceased Church, Rainer and team interviewed former members and leaders in churches that have closed in order to understand what happened so that they can offer strategies for churches in trouble. Rainer believes that 90% of the churches in America are showing symptoms of sickness (that’s right, he only believes 10% are actually healthy). Of those with symptoms, he divides these into three groups. 40% of the churches are showing symptoms of illness, 40% are very sick, and 10% are dying. He lists ten symptoms of sickness: 1. Slow Erosion (of vision and ministry), 2. The Past is the Hero, 3. The Church Refuses to Look like the Community, 4. The Budget Moved Inward, 5. The Great Commission Becomes the Great Omission, 6. The Preference-Driven Church, 7. 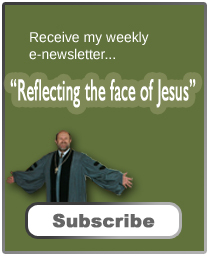 Pastoral Tenure Decreases, 8. The Church Rarely Prays Together, 9. The Church has No Clear Purpose, and 10. The Church Obsessed Over the Facilities. For each of these symptoms, Rainer provides a few examples, questions for reflection, and prayers to offer. This is a very easy book to read (I read it in one sitting) but it doesn’t go very deep. I also found it a little too pessimistic, but I think Rainer intends to fire a show across the bow of churches in order to get them to wake up to our changing world. In Lasting Impact Nieuwhof focuses on seven conversation areas: 1. Why Are We Not Growing Faster? 2. How Do We Respond As People Attend Church Less Often? 3. Are Our Leaders Healthy…. Really? 4. What Keeps High-Capacity Leaders from Engaging our Mission? 5. Why are Young Adults Walking Away from Church? 6. What Cultural Trends Are We Missing? 7. What Are We Actually Willing to Change? In each of these chapters, Nieuwhof provides numerous examples as well as suggestions for turning a challenge into an opportunity. Like Rainer, he believes that the culture in which the church operates is no longer friendly toward churches. As a Canadian, he is living in a country in which the church’s relevance to daily life may be more like Europe than the United States (but we’re catching up on this trend, too). Nieuwhof also strongly believes the church’s best days are in the future. We’re a part of God’s mission and Jesus is still Lord. Each chapter has a series of discussion questions and practical suggestions for improving a church’s ability to reach out in a changing world. Both of these authors understand that the world is changing which is creating a challenge for the church. The question is how can the church change in order to continue to fulfill God’s mission in the world. Yes Church numbers are dwindling, and I do not think there is an easy solution. Perhaps each Church needs to look at and within it’s own Community/neighbourhood? Your question “how can the church change in order to continue to fulfill God’s mission in the world.” is indeed a good one. I haven’t been to church of any kind in about 20 years. My family and I just aren’t religious. I actually don’t know anyone personally that goes to church regularly. Mary, Thanks for reading and for being honest.